Over the past few weeks, the NJBWC educated nearly 150 law enforcement officers in 50 police departments from seven New Jersey counties in the rules of the road for bike riders. The course, “Title 39: A Bike’s-Eye View,” was created and taught by Les Leathem, NJBWC Education Coordinator. It consists of classroom learning, skills building maneuvers on bikes, and a group ride on local roads. The officers were asked to be in plain clothes and to leave their duty belts home. The purpose is to help the officers understand how traffic law relates to bike riders, and to give them first-hand experience of what most of us who ride regularly already know: the road is very different when you are on a bike. 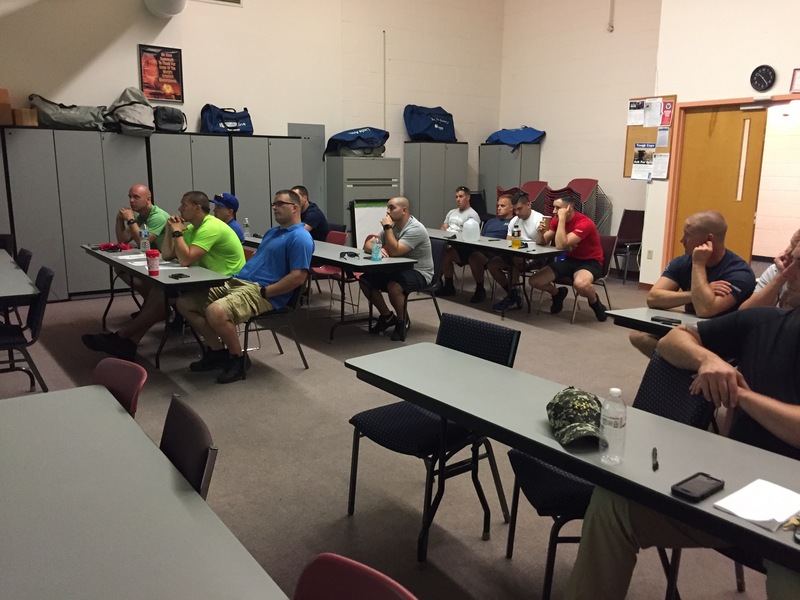 The course, funded by the NJ Division of Highway Traffic Safety, was held in locations in Atlantic, Hudson, Monmouth, Ocean, Passaic, and Union Counties in May and June. The Morris Area Freewheelers Foundation funded the course for Morris County. While New Jersey law gives bicycle riders the same rights and duties as drivers of motor vehicles, many police officers, not being riders themselves, do not have the perspective of traffic from the bike rider’s view; they are not aware of how traffic looks to a bicyclist. They also don’t fully understand the challenges bicyclists face in dealing with motorists. 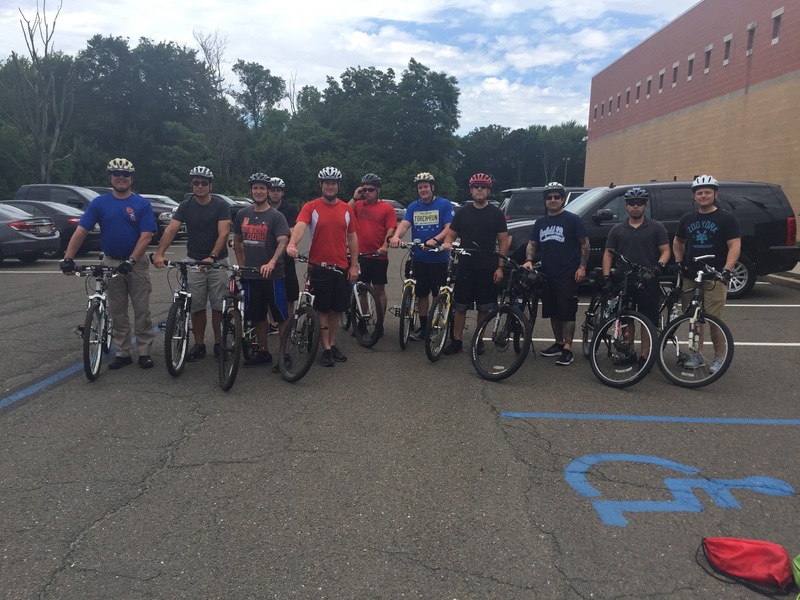 With this course, these officers are now equipped to be more effective in working with bicyclists as drivers. The course was designed to help officers also work with motorists, who often do not understand that bicyclists have a right to use the road in the same way that they do. 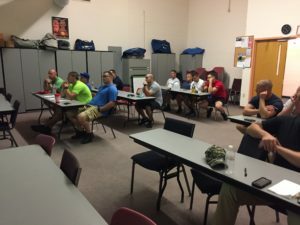 The course, developed specifically for New Jersey law enforcement officers, addressed the so-called ‘Three E’s of Traffic Safety’: Education, Engineering, and Enforcement, in a classroom session. Officers then got on bikes and were put through various drills to learn maneuvers that help avoid crashes. Finally, they participated in a group ride that took them on a variety of roads ranging from low-speed, residential streets to major highways, to help them understand what it’s like to be a bike rider on those roads. Not being in police uniforms meant that they were treated like the public – a very different experience than being treated as an officer. “The road ride session was eye-opening, and the classroom discussion clarified much of traffic law for bicyclists. Talking about applying traffic law to bicyclists and motorists makes it easier to enforce,” said Sergeant Mike Leming of the Manchester Township Police Department. “The real power of this course is its dual approach: classroom discussion helps officers become more aware of the motor vehicle code as it applies to bicyclists. Then, getting the officers on bikes gives them a real taste of how the world looks from the saddle,” said Mr. Leathem. The course was created in consultation with police officers from around the state. Classes were led by Mr. Leathem, who is also a national coach for the League of American Bicyclists, and by police officers who are LAB League Cycling Instructors.